In an AARP survey of U.S. seniors, 90% said they want to continue living in their current homes as they age. But the government estimates that 70% of people who reach age 65 will eventually need long-term care. That usually means hiring an in-home caregiver…or moving to assisted living. Getting parents to accept in-home help is an issue many families struggle with. How are we going to tell Dad he needs someone to make sure he eats properly and takes his medication? How do I convince Mom to let someone keep her company and drive her to the grocery store? Few older adults will admit they need help, even if they’re struggling. There’s a fear that they’ll become a burden or completely lose independence. It becomes a sensitive subject and can lead to arguments or immediate shutdown when families bring it up. 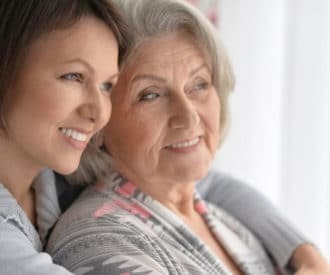 To help you talk with your parents about in-home help, CareLinx CEO Sherwin Sheik recently shared 3 tips he’s learned from helping families find caregiving help. This is one of the best tips we’ve ever heard. Don’t tell your parent they need a caregiver to help or monitor them. Instead, talk about how they’ve reached a point in their life where they deserve a personal assistant to make life easier and smoother. Use an example from the working world. In an office, an administrative assistant helps the boss with everyday tasks. Your older adult will be the one spending time with the hired caregiver, so it’s important that there’s a good personality fit between them. Involve your parent in the interview and selection process. Giving seniors a say in hiring makes it more likely that they’ll accept that person in their lives. After you’ve done the hard work of convincing your parent to accept help and finding an amazing caregiver, it’s important to create a long term relationship with that caregiver. Having a revolving door of caregivers won’t benefit your parent or you! Talking to parents about home care is a difficult, but important conversation. Use Sherwin’s three tips to overcome resistance and increase the chances that your older adult will accept the idea. — Is Aging at Home Realistic for Seniors? That is great advice to tell your parents that they deserve a personal assistant. My parents are getting close to the point where they should get a caretaker and we haven’t known how to talk to them about it. It is a great idea to try and have a long-term caregiver but I think the execution is harder since we can’t control the caretaker life. I really like your tip about telling them how they’ve reached a point in their life where they deserve a personal assistant to make life easier and smoother. My mother is approaching her 80s, and I think a caregiver will help us feel more secure about her living conditions. She’s a strong woman, and she has raised all of us by herself so I would understand if she’s too proud to have an in-home caregiver. These tips will really help us in the future. Thanks! How to Talk To Aging Parents? My comments address your second point; “Include your parent in the decision making to help them feel in control.” This may be inadvertent but the direction of this pointer seems to indicate that the senior and their opinion is not central to the decision. Instead it appears you are almost as a courtesy including them in this process so they “feel” included. Remember unless it can be proved in a court of law that a guardianship should be awarded, the senior has every legal right to make decisions independent of any counsel. (Just as anyone else in our society does.) Consider instead that your role is advisory only-not determinative. Committing to work towards solutions may be a better avenue for successful outcomes. Thank you for sharing your perspective, Kenneth! What we often hear from the DailyCaring community is that an older adult is no longer making decisions that are wise for their health or safety. 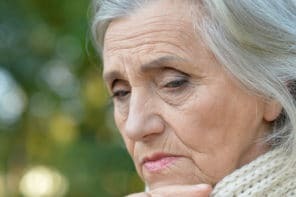 For a competent older adult, it’s their choice if they wish to harm themselves by not getting the help they need, but it’s understandably difficult to ask family members to do nothing and let their loved one suffer and decline. That’s why some families feel that it’s necessary to make decisions without their older adult or only include them as a courtesy. Sometimes these situations do result in families seeking formal guardianship through the court system. Other families decide to resolve these matters privately. Each family makes their own decisions about how they wish to handle a troubling situation. We’re here to answer questions that we hear most often and provide advice that family caregivers can use to keep their older adults as safe and healthy as possible. One thing that many experts recommend is that you should talk with your parents about their care as early as you can before any health emergencies. Having a candid conversation about what their wishes before a crisis can help prevent arguments and disagreements that may arise later on. Other things for you to consider are important legal documents like wills, power of attorney, do not resuscitate order, etc. If your loved one is still refusing help, I wrote a helpful article that may be beneficial for your readers. Often times, many of us forget that while we may want the best for our parents, they still have wishes of their own that we need to consider.